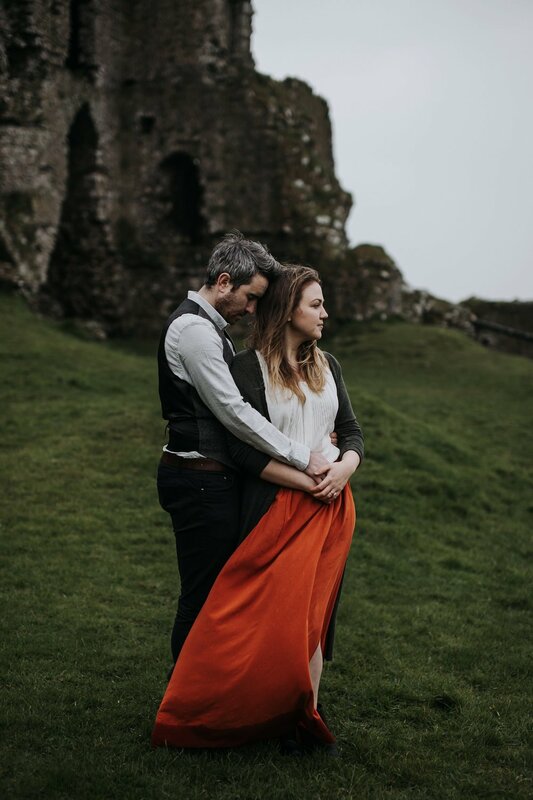 Irish Elopement Photographer | Anniversary Session in Dundalk, Ireland | Adam + Grace — The Adams Co.
Once upon a time, in a land far far away, a few kind souls made my childhood dreams of exploring Irish castle ruins come true. This anniversary session came together in the maybe the most random way possible. Paula McManus was kind enough, (or crazy enough?) to pick a couple of complete strangers (my husband and I) up from the train station in Dundalk, Ireland. 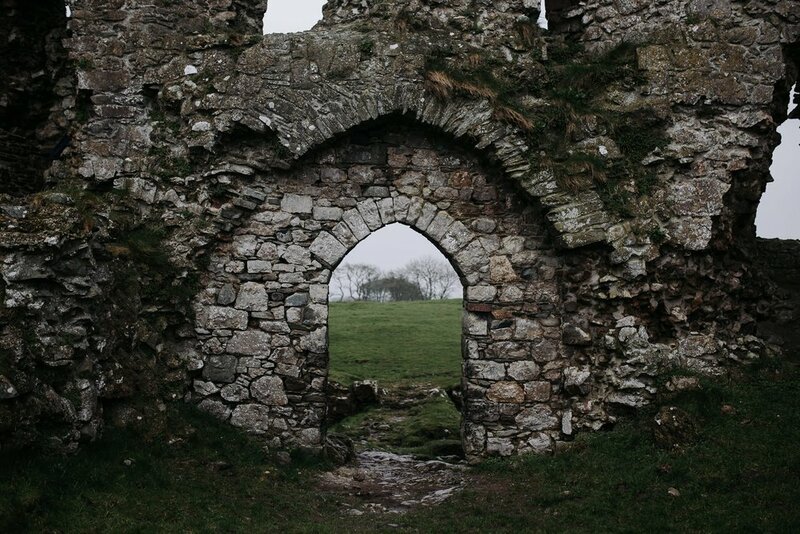 From there we wove through the countryside and met up with Adam and Grace (so not confusing at all) to explore the ruins of Castleroche, a castle commissioned by Rohesia de Verdun in the 13th century. 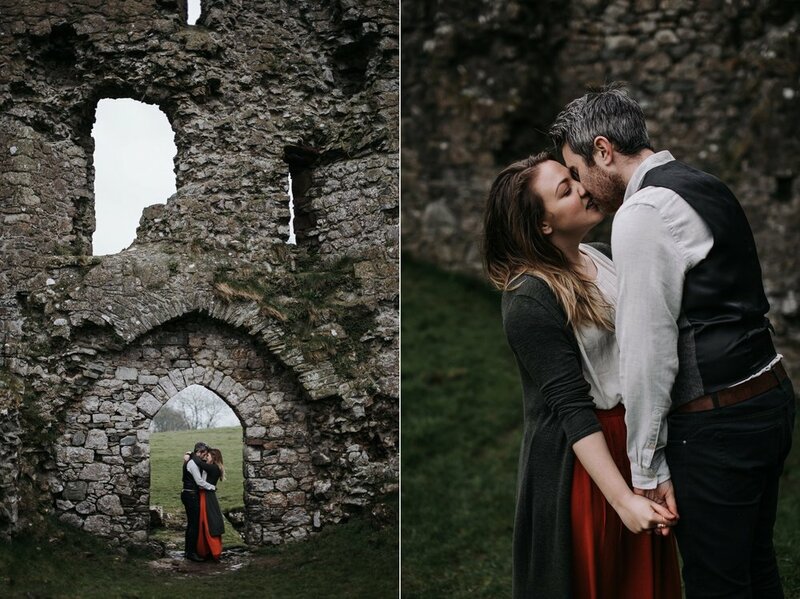 Paula, Adam, and Grace are all fantastic photographers from Northern Ireland, so castles and piles of ancient rubble may be as commonplace to these three as mountains are to us, but they took all my total-history-geeking out in stride. Though our afternoon together was short, it was wonderful getting to know them. We ended the day slightly drenched from the rain, with cups of coffee purchased in a suspiciously empty mall. 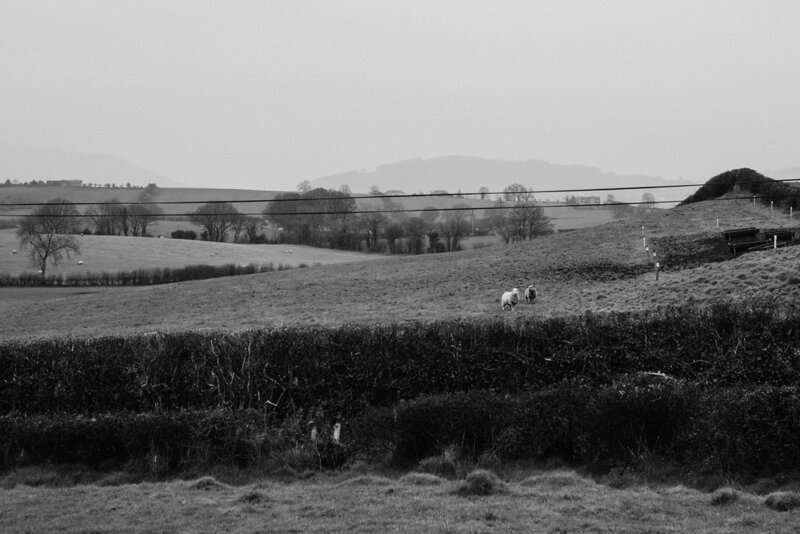 It was a perfectly random end to a perfectly magical afternoon. Many thanks to Adam and Grace for taking time away from their two beautiful babies to model, Paula McManus for bringing us all together, to my husband Austin for graciously keeping track of my gear when it inevitably gets left behind, and Tippy Logronio for lending us her MUA talents. I truly hope to visit again soon!